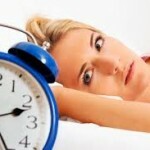 Home » Sleep deprivation » How Good Night’s Sleep Is Good For Your Skin? Last night you partied out all night, in the morning you look into the mirror and see lackluster dry skin and puffy eyes staring back to you. It’s nothing new, almost all of us have experienced this awful moment at least once in our lifetime. It’s not difficult to bounce back from these rare indulgences, but if it’s a habit then chronic lack of sleep may result in aging your skin prematurely—in extreme cases it may leave you looking much older than you are. Sleep loss affects body’s hormonal production; it releases fewer hormones with chronic sleep debt. Growth hormone help us to grow when we are young, but when we age these hormones help thicken skin, increase muscle mass and strengthen bones. Over the past few decades a new field has emerged called psychodermatology. The medical specialty grew out of various studies showing a link between sleep problems and mood in persisting skin diseases. 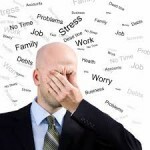 Scientists have linked chronic insomnia and stress with excess release of glucocorticoids. The hormone that regulate the metabolism and its over production has been shown to speed up the aging process. To maintain the youthful look of your skin, experts suggest getting at least 7 to 8 hours of restful sleep every night. In today’s stressed out world, restful of sleep is a request that is difficult to fulfill. Women are higher at risk of sleep disorders. Sleep deprivation is the most critical issue today’s women face, which in turn undermine their judgement, creativity and relationship. In addition to that it leads to higher risk of weight gain, depression and heart cardiovascular disease. Restful of sleep has more to do with quality of sleep we get rather than how many hours we sleep. Studies have found that women take more sleep per night than men; however their quality of sleep is much poorer. If you have chronic insomnia or your restful of sleep disrupts due to some biological or sociological factors you don’t need to turn to sleeping pills immediately to get the sleep you need. There are a lot of alternative methods, home remedies and lifestyle change that you can apply. Essential oils can also help you to get a better night’s sleep. It is the most pleasant ways to cut stress and help you drop off.